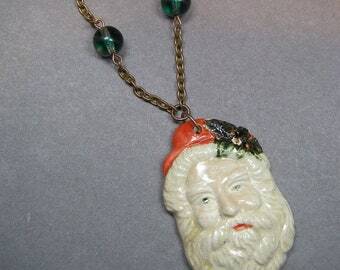 This is an absolute one of a kind Victorian style Santa necklace. 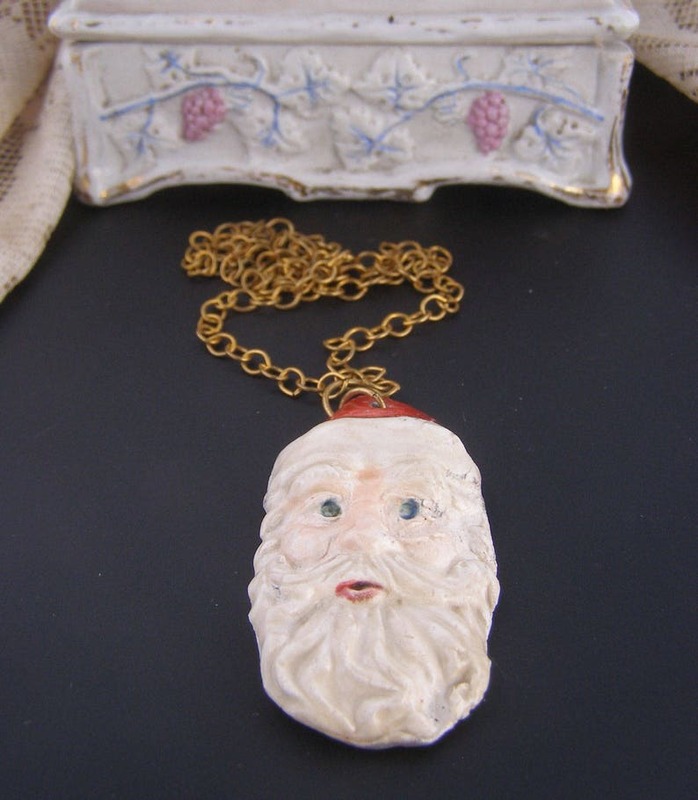 Fantastic raku pottery Santa made by Harry Wood serves as a pendant. 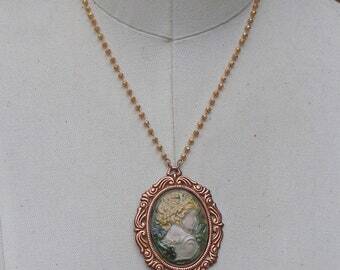 Measures 18 1/4". Can be clasped at shorter lengths. 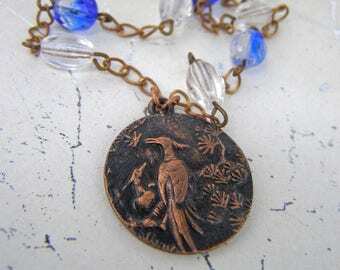 Pendant hangs an additional 2 5/8"
Love this gorgeous charm bracelet! 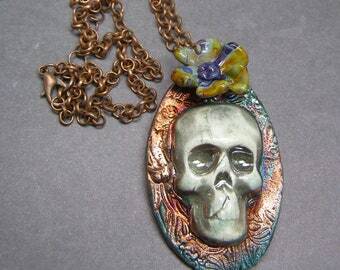 The variety of charms and their thought-out arrangement make this piece so special! 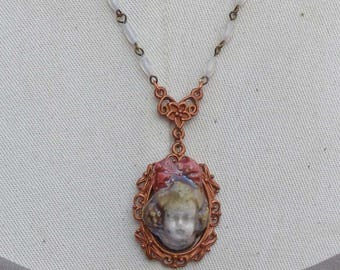 This lovely piece was truly irresistible to me, as I am crazy about anything with a French design! Totally thrilled to own this stunning bracelet and love wearing it to hear all the compliments!!! Perfect purchase in every regard!! The heart is bold but lightweight. Thanks for shortening the chain. Fits perfect. The heart is absolutely beautiful. I love the combination of different materials, especially the white plastic in the chain. Thanks for shipping so quickly! 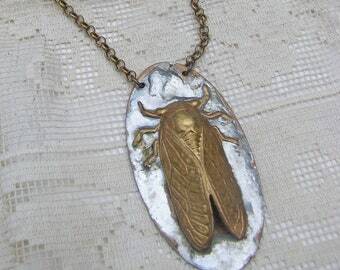 Such a beautiful necklace with an heirloom look, that I truly love! And the opal focal point is just the cherry on top! The coppery metal is not often seen in tassel necklaces, which adds just another lovely layer of delightful design! 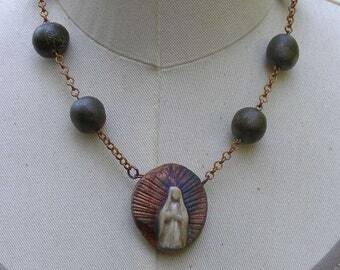 Altogether a fabulous piece that I just had to have! I believe this is a 1928 brand, so that fits the style perfectly. Great purchase from sweet shop with lots of treasures inside!